It does my heart good to see Bela Lugosi having fun onscreen. 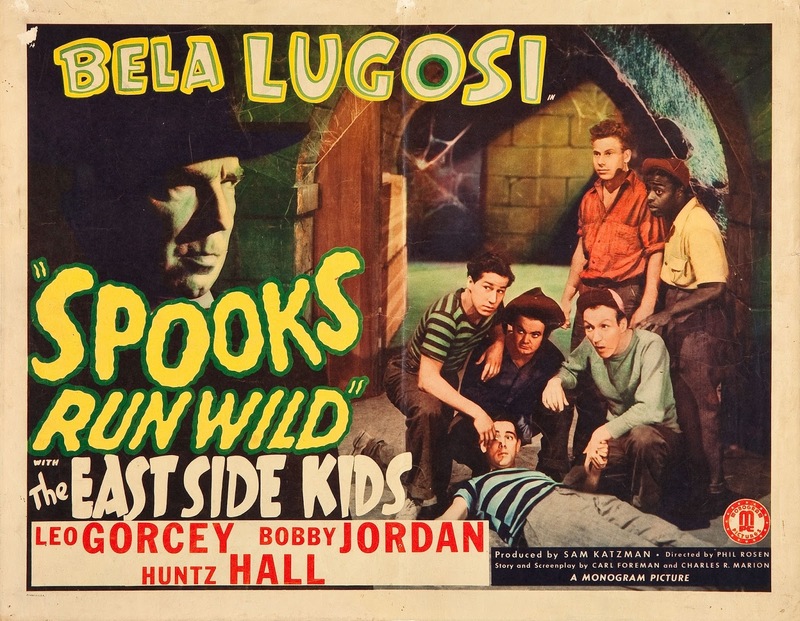 He's definitely in on the joke in this low budget Monogram film in which he stars along with The East Side Kids. They would do another Monogram film together entitled Ghosts on the Loose (1943) and Bela would do a total of 9 films for Monogram. Spooks Run Wild is, perhaps the best of the bunch. The story takes place at a camp where the East Side Kids hear about a "monster killer" who is on the loose. It's a classic horror set up. Not surprisingly, the Kids decide to leave the camp and get themselves into all sorts of trouble. I won't ruin the fun. Just enjoy it. Lugosi plays Nardo who has just moved into a nearby mansion that was left unoccupied for many years. He shows up with several coffins along with his man servant, Luigi. Lugosi has a blast in every scene and makes the most of his mythology, poking fun at it more than a time or two. Luigi is played by the legendary Angelo Rossitto, who appeared in over 70 feature films. While he is only 2' 11" tall, he has a commanding presence in this film and many others. Most people know him from Tod Browning's Freaks (1932) or Mad Max Beyond Thunderdome (1985). The East Side Kids provide a lot of the comedy in this film and their chemistry together is very good. The only criticism I have is that these "kids" look like Beverly Hills 90210 teens, if you know what I mean. They are definitely older than the characters they portray on screen. Director Phil Rosen keeps the action and comedy bits moving along so there are no dead spots in Spooks Run Wild. I don't know why it's taken me this long to see this film. I enjoyed it very much and would definitely watch it again.